Regular inspection of culverts is critical to ensure that surface water is able to flow away freely, thereby reducing the risk of flooding. As a result of this, inspections and mapping of culverts should form a key part of commercial maintenance plans and budgets. Lanes are well positioned to offer solutions in this regard, providing both information and solutions, even within stretched maintenance budgets. Lanes carry out surveys within culverts of various diameters and constructions. From CCTV and pole-cam surveys to man-entry walkthroughs or entries with equipment-mounted floatation devices, Lanes is renowned for accessing even the most difficult to reach locations, and doing so completely safely. Culvert cleaning with Lanes works in much the same way as sewer delisting, using both jetting and vacuumation to break up, collect and then responsibly dispose of built-up silt. 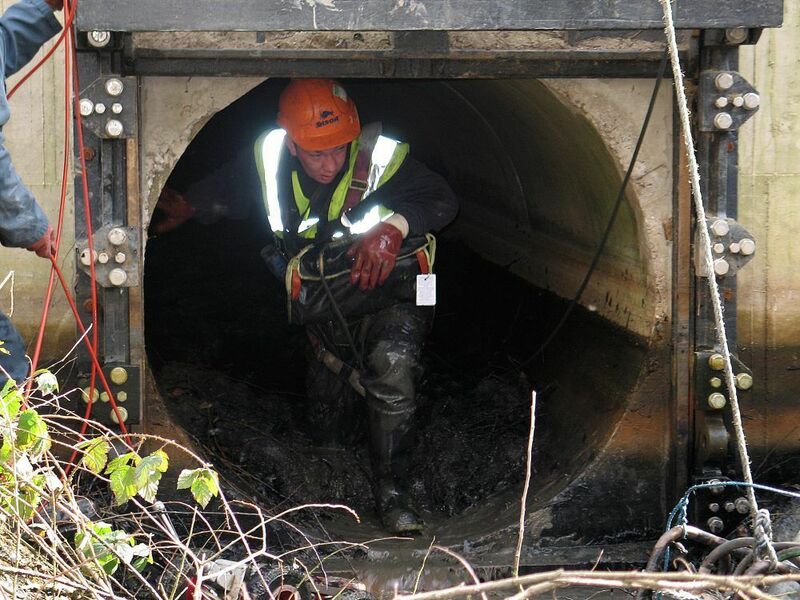 Culvert rehabilitation, however, is rarely seen in our sector, but regularly carried out by Lanes teams – applying the very same relining technology used in drains, vertical pipes and sewers to repair decaying or damaged culvert structures.